Take DMV-Approved Defensive Driving Online! Point Credit and Insurance Discount! Whether you are looking for something that is Easy, Fast, Affordable or Trusted, you have found it! Since 1996, our company has been helping drivers secure auto insurance discounts and DMV point credits. 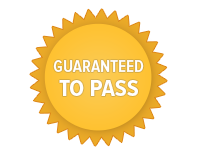 Our Division of Motor Vehicles (DMV) Approved programs meet all requirements for Delaware defensive driving courses. We love helping our students save money, and we would love to add your name to our list of satisfied customers. Working on any of our course offerings is simple and convenient and always available to you online. We have designed each program full of features that make it a breeze for anyone to complete, no matter how busy you are! By allowing you to work around your own schedule, you won't have to worry about rescheduling appointments or missing work to complete our Delaware defensive driving online courses. Simply log in whenever you have some free time, complete as much of the course as you would like to, and log off. All progress will be automatically saved, and you can start again whenever you would like to. Another benefit of our Delaware driving school is the support you will receive. The entire course is open-book, this means you can use any notes or resources to aide you in our multiple-choice quizzes and final exam. Also, you have unlimited chances to pass each section of the course. Our customer service team is available to you 24/7 and can help answer any questions you may have. With such a hassle-free process, it's no wonder that our online courses are the most popular. Why Choose Delaware Defensive Driving? We are proud to offer the finest educational materials, the best customer service and the most dependable and hassle-free online Delaware defensive driving course in the state. If you have been instructed to complete a behavior modification/attitudinal-driving course, this is the program that you will select. This course has been approved by the Secretary of Transportation to prevent your license from being suspended. Make sure you complete the program within 90 days of your conviction date to avoid losing your driving privileges. Now that you know which course is the right one for you, all that's left to do is start one of our online Delaware defensive driving courses. To do so, simply Enroll online. In just a few hours you'll be done and ready to reap all of the great rewards!